As we go into the final half of this year’s Google Summer of Code we wanted to share a few more interesting statistics from this year’s program. Our previous statistics post focused on what countries the 2011 students were from: now we’d like to share more information about the students, organizations and mentors. We have 1115 students participating this year, 202 of which also participated last year in the program, - that’s 18.1%! There are 35 students who have participated in 2009, 2010 and are currently working on the 2011 program, so 3.1% are 3 year students! Our 175 participating organizations received 5,651 proposals for an average of 32 proposals per organization. We have 997 mentors assigned to a particular student and another 1,099 that are co-mentoring their students with others in their organization. This year’s mentors are from 55 countries. This is our first year with mentors from Bangladesh, Belarus, Bosnia-Herzegovina, Kingdom of Cambodia, Egypt, Iceland and Indonesia. Every Friday this summer we have highlighted some of the new organizations participating in Google Summer of Code: check out our most recent post. 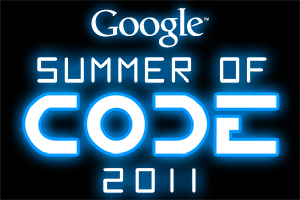 For more information on our Google Summer of Code program please visit our program site and timeline.